Refugees in Za’atari for the last 2 years. They got married 4 years ago, when she was only 13. It is common for the girl, to drop off of school when she gets married. He was working as a municipal employee. When demonstrations started in Syria, demanding the government more freedom and democratic reforms, he was also there. He remembers the army divided the crowd and drove all the opponents in one area and attacked them. 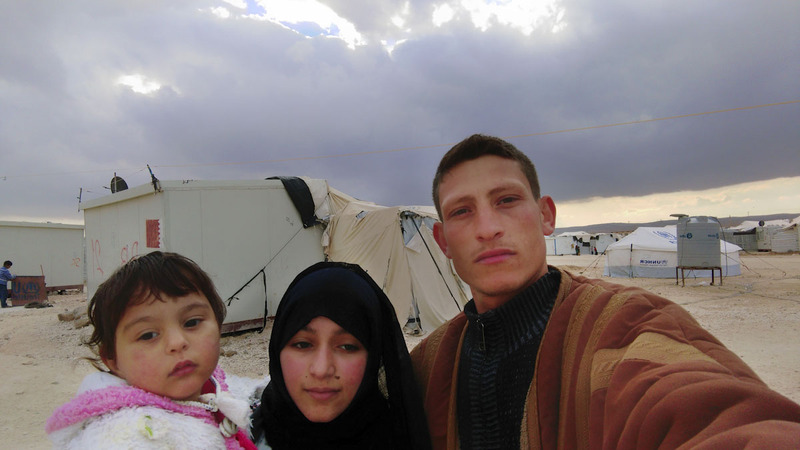 After days of turmoil and heavy repraisal he decided to leave for Jordan, as a refugee.